El Monte 3, Mountain View 0 — Evelyn Alferez had 14 kills, Kate Acosta had six kills and 11 digs and Ariana Gutierrez had 13 digs for the Lions (12-7, 3-0) in a 25-21, 25-14, 25-22 Mission Valley League victory. Garey 18, Pomona 0 — The team of Brenda Cortez and Nita Try swept in doubles to lead the Vikings (11-1, 8-0) to the Miramonte League win. Question for CIF: When the La Canada “Icy Hot” incident with Salesian occurred, CIF argued it couldn’t suspend or penalize the Salesian player for allegedly rubbing sports creme in a La Canada’s players face because the referee’s didn’t penalize the players during the game, leaving any suspensions or discipline to the school. Eventually, Salesian’s principal apologized for the incident. Well, well, well, nobody was flagged or penalized on the field for Millikan, which obviously shows a player kicking a helpless Lakewood player on the ground, a player whose helmet had come off, no less. So again, with VIDEO in hand, will CIF step in and do something, or will this be left to the school and possibly the police department to sort out? STORY: Rumors have swirled since an alleged incident on Friday night at Lakewood High after Lakewood beat Moore League rival Long Beach Millikan in football. According to multiple anonymous reports, Lakewood parents confronted the Millikan players in the visitor locker room after the game. Allegedly, the confrontation stemmed from a play during the game when a Millikan football player kicked Lakewood receiver Victor Bates in the face after his helmet was knocked off. Bates is verbally committed to Oregon State University. Arcadia 18, Glendale 0 — Michelle Deng, Angela Qiu and Angel Pan swept in singles to lead the Apaches (10-0, 6-0) to the Pacific League victory. Maranatha 11, Whittier Christian 7 — Hailey McNall, Angela Hsieh and Natalie Orphali swept in singles to lead the Minutemen (6-3, 3-0) to their third straight Olympic League victory. Bishop Montgomery 11, La Salle 7 — Abby Siracusa won two in singles and the team of Laura Biosca and Corrine Dyson won two in doubles for the Lancers (2-8, 2-3) in a Del Rey league loss. Flintridge Sacred Heart 3, Marlborough 1 — Kayla Lund had 26 kills and 12 digs, Ali McCollum had 12 kills, Katherine Lund had 17 digs and Clare Lund had 49 assists for the Tologs (7-4, 1-0) in a 15-25, 28-26, 25-22, 25-13 Mission League win. 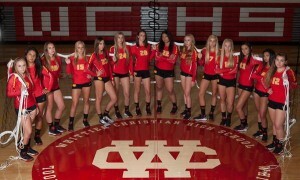 Heralds move from third to second this week. Mayfield remains No. 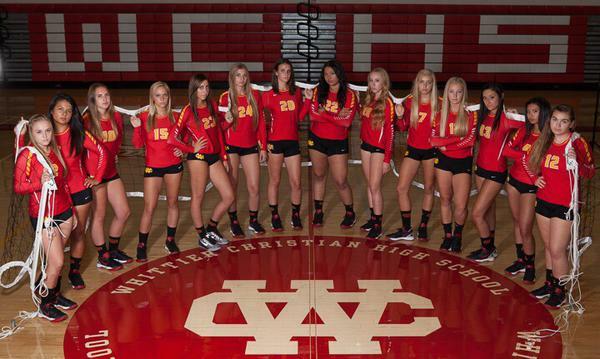 1 in this week’s Top 25 volleyball poll after defeating St. Lucy’s in five games. South Pasadena made the biggest jump, five positions. Los Altos and Walnut entered the Top 25 for the first time this season. Just how good is former San Dimas football coach Bill Zernickow? At San Dimas, the master of the Wing Z contended for a CIF title virtually every season and won two championships. Zernickow, and some members of his Saints coaching staff, took a leap of faith and moved to Oregon to take on Tualatin HS, a team that was 0-9 last year. 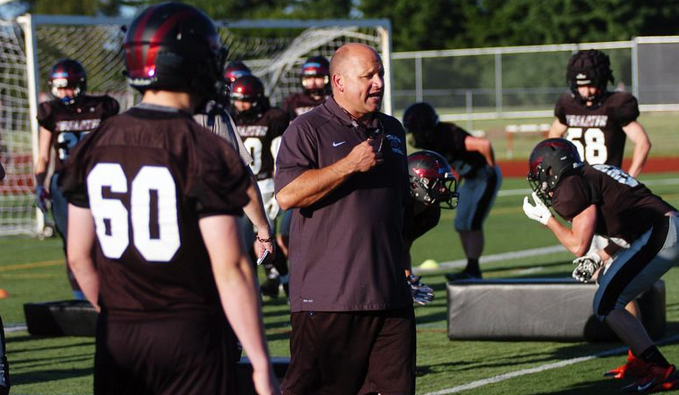 But with Billy Z in charge, Tualatin is undefeated at 4-0 and ranked eighth in the state. 1. 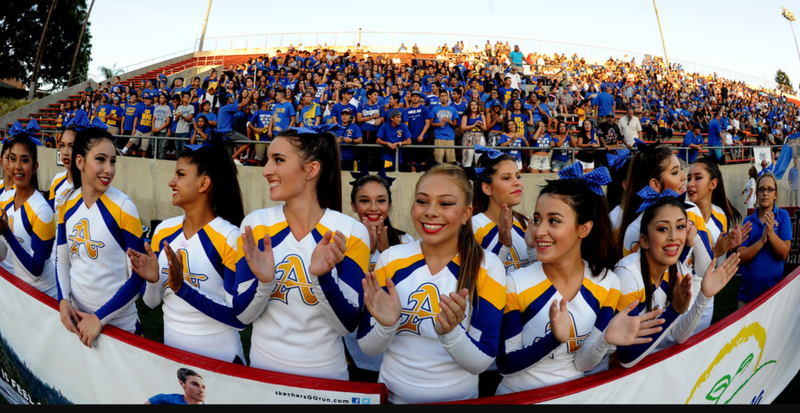 Bishop Amat (4-1) — It would take injuries to just about every impact player for Amat to lose its grip on No. 1 in the Valley. There is no debate. 2. Charter Oak (4-1) — Everything clicked in a 28-7 victory over Glendora, and now it has a bye before opening the Hacienda with undefeated Chino. 3. Bonita (5-0) — Undefeated heading into its bye week before a mammoth Palomares league opener against undefeated Claremont. 4. Glendora (3-1) – Looked unispired and not that good against emotionally charged Charter Oak. 5. Northview (4-1) — Easy win over La Sierra, and now has a bye before getting set to defend Valle Vista league title. 6. Diamond Ranch (4-1) — Won four straight since a season-opening 7-0 loss to South Hills. 7. Diamond Bar (4-1) — Answered first loss with a solid 27-13 victory over Cypress. 8. West Covina (2-3) — Don’t look at their pre-season record, will likely come down to West Covina and Charter Oak in the Hacienda. 9. Los Altos (3-2) — In back-to-back step-up games against Glendora and Monrovia, Los Altos lost both. 10. San Dimas (2-2) — Played well for a half, then it was all Bonita in the Smudge. The Rest: 11. Damien (2-2); 12. Pomona (3-2), 13. Arroyo (3-2), 14. Ganesha (4-1), 15. Bassett (3-1), 16. South Hills (1-4), 17. Baldwin Park (2-3); 18. Covina (2-2); 19. Mountain View (3-2), 20. El Monte (3-2), 21. Sierra Vista (2-2), 22. Rosemead (1-4), 23. Walnut (1-4), 24. Nogales (2-2), 25. Rowland (1-3); 26. Gladstone (1-3); 27. Wilson (2-2); 28. Azusa (0-4); 29. La Puente (1-4); 30. South El Monte (0-5); 31. Duarte (0-4); 32. Workman (1-3).